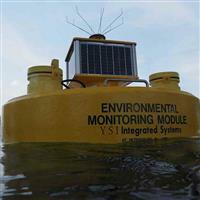 The YSI Systems EMM150 buoy (https://www.ysi.com/EMM150) is designed for quick deployment and is light weight and compact for a secure monitoring solution to collect data in waters that were previously out of reach. The system can be lifted into place by two people, and installed without divers—reducing deployment and maintenance costs and allowing for complete serviceability from a small boat or watercraft. 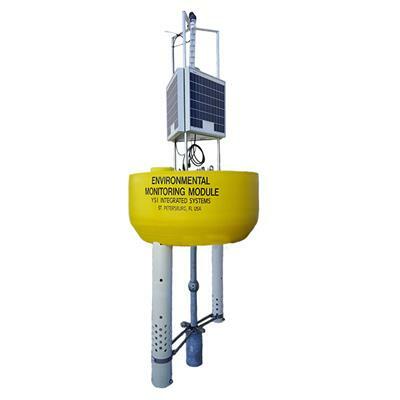 The EMM150 supports various sensors to fit your site monitoring needs, such as a YSI EXO2 Sonde positioned inside the sonde tube. 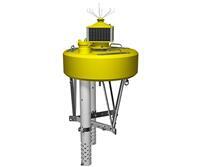 Multiple data delivery systems are also available to collect real-time data from any YSI sonde. 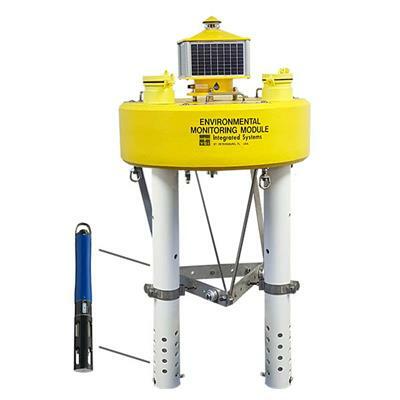 Designed for quick deployment, the EMM150’s light weight and compact size provides a secure monitoring solution to collect data in waters that were previously out of reach. The system can be lifted into place by two people, and installed without divers—reducing deployment and maintenance costs and allowing for complete serviceability from a small boat or watercraft. 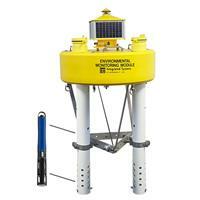 The EMM150 supports various sensors to fit your site monitoring needs, such as a YSI EXO2 Sonde positioned inside the sonde tube. 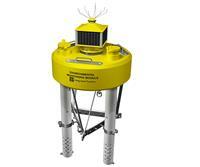 Multiple data delivery systems are also available to collect real-time data from any YSI sonde. User-defined alerts improve response time and notify of changing conditions as they occur. Match calibration and maintenance schedules to actual sensor performance. Reduce maintenance costs by eliminating unnecessary trips into the field. Send data to a base station computer via cellular or radio; while the web-enabled option posts data directly to a public or private web site. 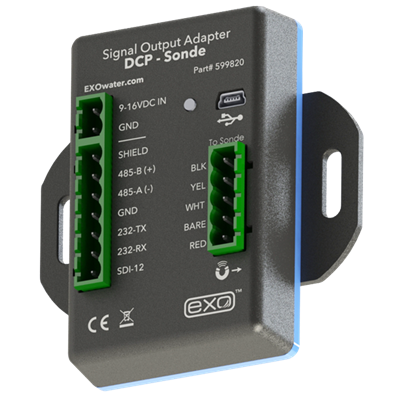 EMM150 is also compatible with select 3rd party data loggers. Contact YSI Integrated Systems and Services for more information. The EXO family of environmental monitoring sondes offers a variety of Smart Sensors including: temperature, fDOM, conductivity, salinity, blue-green algae (PC & PE), chlorophyll, dissolved oxygen, ORP, pH, rhodamine, turbidity, and depth. 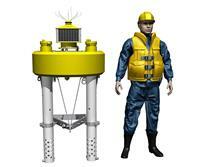 Please visit YSI.com/EXO for more on the EXO family of sondes. 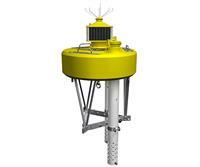 The EMM150 Monitoring Buoy can also support YSI 6-series sondes and integrate with 3rd party sensors. Contact YSI Integrated Systems and Services for compatibility.